Thundercats returning in a new series that’s…well? 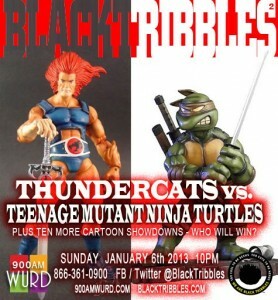 Thundercats vs. TMNT on Black Tribbles² TONIGHT!!! Thundercats vs. TMNT? Mighty Mouse vs. Underdog? Inspector Gadget vs. Generator Rex? TEN EPIC CARTOON SHOWDOWNS – Who Will Win? Check out the funnest night on the internet with Black Tribbles² 10pm EST Sunday Jan 6th TONIGHT on 900AM WURD on your Philly radio dial or www.900amWURD.com – On Air Online and In The Community! 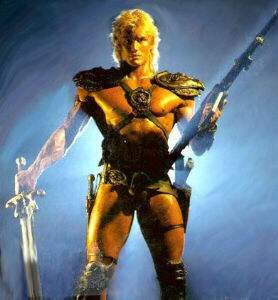 The return of He-Man and an Avengers TV show? !